Every year, moms in America pledge to simplify Christmas. We want to focus our time on our kids. We want to be a “fun mom” and create a DIY kids Christmas that will go down in history! And then it happens. Overwhelm sets in, our schedules fill to the brim, and instead of spending time reflecting on Advent and the meaning of Christmas, or gift-giving intentionally, we become absorbed in marking things off the checklist until we reach the finish line and Christmas is finally over. Phew. It wears me out just thinking about it. But over the years, I’ve learned there are very specific ways to make the Christmas season actually enjoyable in our home. After all, more than anything, I want to spend quality time creating and bonding with my daughter, and to take extra time to be thankful for all our blessings in life. 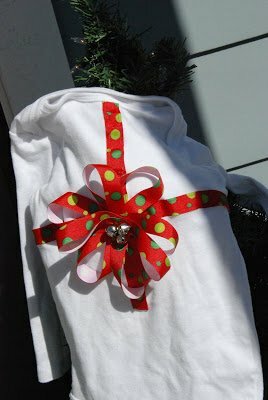 The biggest strategy I have for simplifying Christmas is to focus on a simple DIY kids Christmas. Instead of trying to complete all the wonderful ideas out there on the worldwide web, I choose a few to dive into with my daughter. Instead of trying to make my home magazine-perfect, I use leftover supplies around the house to create charming and beautiful homemade decor. Instead of spending tons of money on fancy Christmas outfits, I make my own with scrap fabric and material. Instead of spending hours away from my family, searching for the perfect gifts, I do most of my shopping online and choose a few gifts to make on my own. 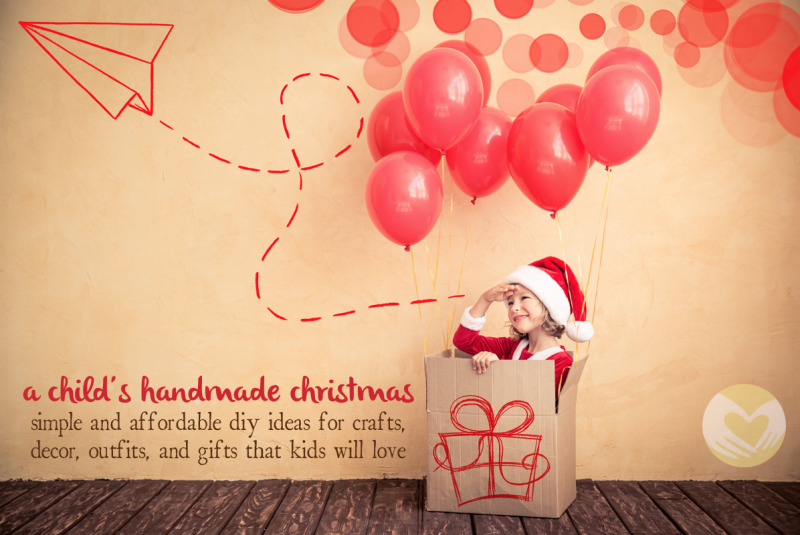 If you’re wanting to foster a kids handmade Christmas, here are a few super simple ideas! 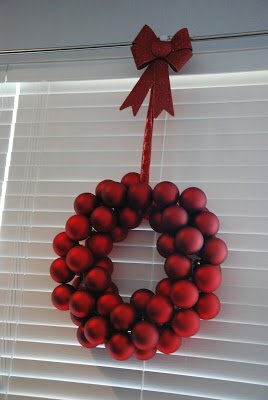 Last year I did a couple of Christmas crafts that were really fun. My daughter got such a kick out of them, and they were all great fine motor skill practicing opportunities. For a Christmas tree button ornament, I bought a big bag of buttons and some pipe cleaners. You tie a little knot at the bottom for the trunk of the tree and to keep the buttons from falling off. Then you put on buttons that go from largest to smallest. Then tie a loop at the top! 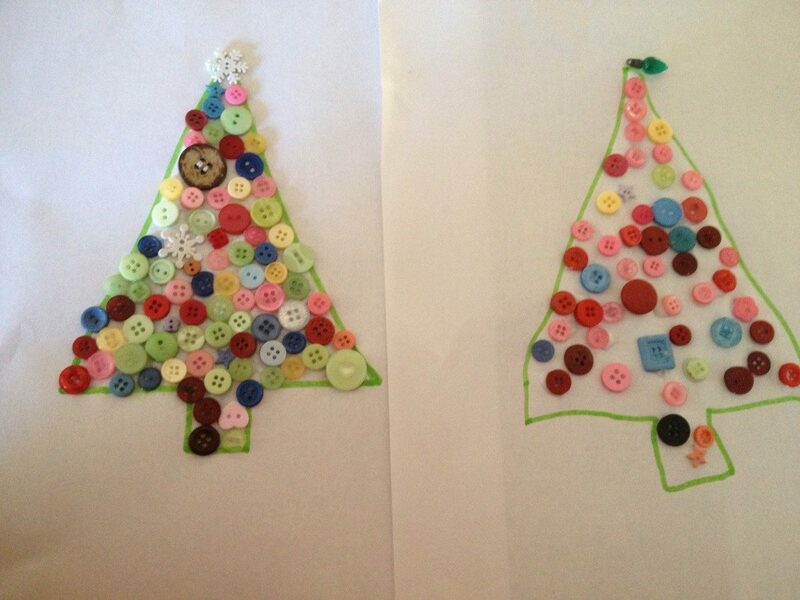 For the craft pictured above, we drew the shape of a Christmas tree and glued on the buttons. She must have made a 100 of these trees! 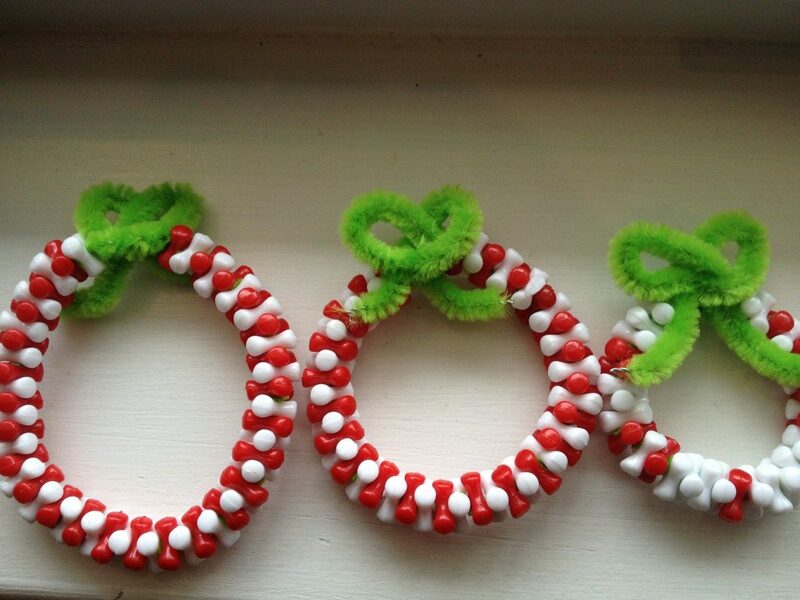 For these wreaths, we did the same thing as with the button trees, pipe cleaners, and little beads, except you don’t make a knot at the end you make the pipe cleaner in a U-shape as your kid puts on the beads and then tie the top into a little bow to finish. 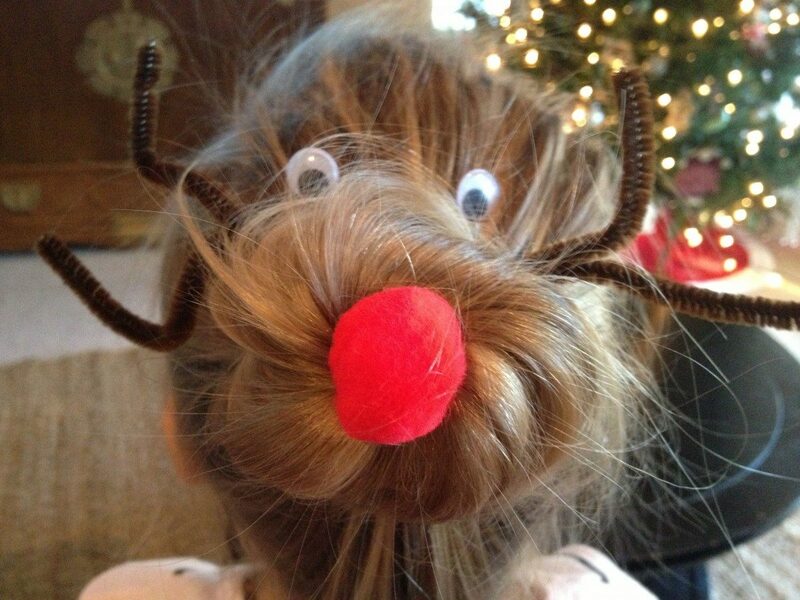 Last year I made a Rudolf Bun for my daughter by hot gluing the the nose, eyes, and antlers to bobby pins and then sticking them in her bun (click here for my sock bun for toddler hair tutorial). This was such a hit! She loved it so much and it made her feel so special and festive. And all the kids at her preschool went bananas over it! I think I may make little kits for her ballet class if I have time this year. 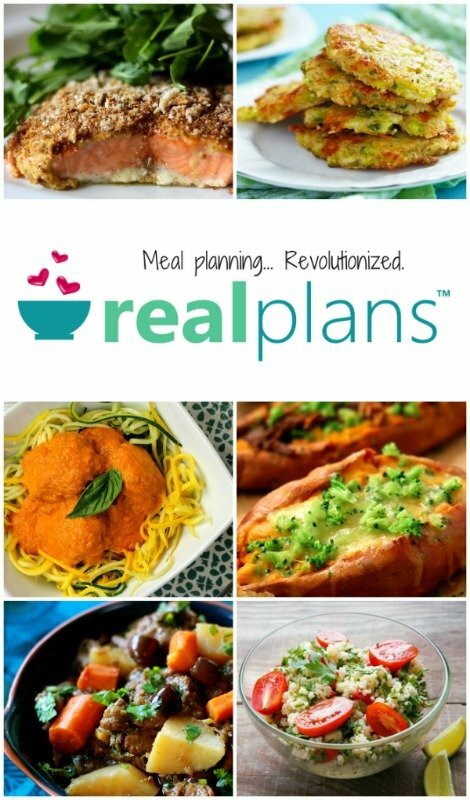 Anyhoo, these are just a few simple ideas for you that you can throw together for some last-minute fun. I try do some crafting each season or holiday, but I don’t go cray-cray. I want to have memories and mementos, but I don’t want to stress myself out and I always try to do the simpliest craft I can find or think of. This year I bought some popsicle sticks and will do some simple paint and gluing ornaments with them. It is a Pinterest kind of Christmas around here. I mean really, do you even remember what the world was like before Pinterest? Last year, I gave away an entire bin of decorations, in an effort to just have less stuff. We live in a house with over 2000 sq feet and in a matter of 7 years, we have filled every inch and corner with stuff. It all started last July, when I started packing, when we were about to move to Chile. I just gave away everything I had packed up, because I realized I didn’t even need it or miss it! I have been slowing clearing out stuff, ever since. So this year, I reduced down again, and gave another two boxes of Christmas stuff away. I only kept the stuff I really, really loved or that was a family heirloom. Has anyone else gotten rid of Christmas decorations this year to simply life and have less stuff? Of course, I also wanted to make room for a few new pieces, but overall I still have way less stuff in the house, and have been focusing on simple DIY Christmas decor that I can make “with” my daughter. Ok, so this felt Christmas tree took all of 20 minutes. Cut out a big ole tree, mine is about 3 feet tall. 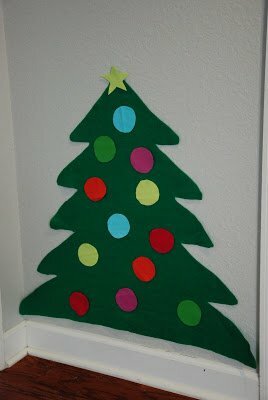 I got the green felt for a couple of dollars in the remnant bin at Joann’s last Christmas. I had enough to make two trees and gave one to my friend. My daughter is not the biggest fan of it yet, but I really like it. She likes to make Mickey Mouse’s out of the ornaments. I just did circles for the ornaments (I used some of my gorg bamboo felt) but if you get really inspired you could make fancy ones. As I was cleaning out all of my decorations, I realized I had 9 boxes of red glass ornaments in one bin. I slightly remember buying them, thinking, they are so cheap! I could do a ton of different projects with them! And never did. I finally put them to use and made a wreath. I used this tutorial, it called for more balls, but I was not about to run to Micheal’s just to get one more box, of balls, so I made due. You can see that mine could have used a couple of more to make it more full, but whatever. It’s cute and it was so easy! Isn’t this adorable? I used all of Penelope’s old Christmas socks and went out and bought the rest. You can get Christmas socks at Target for $1. I hung it up in front of her play room. It is not exactly functional this year, because I didn’t put anything in them. But baby steps! I was thrilled just to get it done! 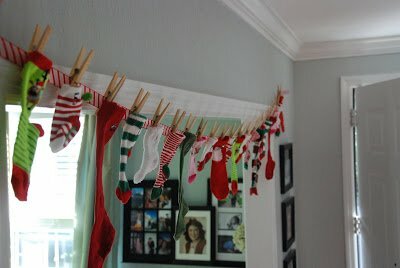 This would also be a cute way to track your child’s growth each year as they outgrow old socks (no, you’re crying!). I also made Christmas trees with lights for the front porch. I had both the tomato wire and the garland already. Done and done! I was also inspired by my Candy Cane board and instead of putting cranberries into my glass vases like I normally do, I put candy canes inside. I also wrapped red ribbon (that I had on hand) around the big white columns on my front porch and made them look like candy canes. And lastly, I changed up my shelf/mantel from last year and did a couple string of lights instead of pine tree branches. Really, I just had to share these pics! 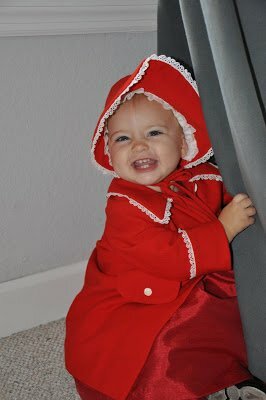 My great grandmother made this coat and bonnet for me when I was a baby. Now my daughter was able to wear it for Christmas as a baby! 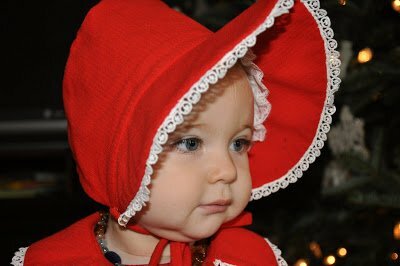 The bonnet was pretty intricate, at least for my skill level, with lace on the inside where it frames her face. Anyway, just thought all you crafty readers would appreciate it! 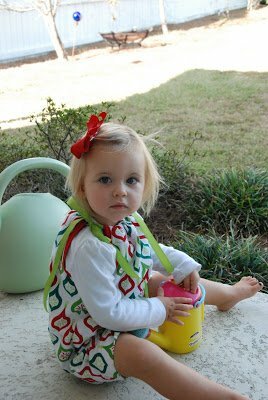 Yup, I made my daughter I dress out of dishtowels. 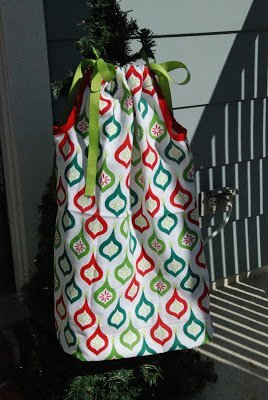 I have seen dishtowel skirt tutorials online and that is what planted the seed for the idea in the first place. 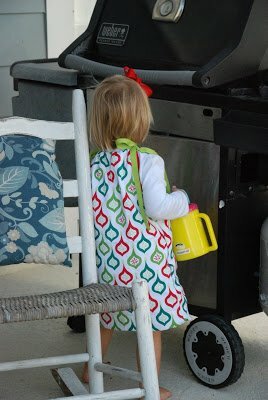 Apparently, people are making other types of children’s clothing with dishtowels. In my mind, a dishtowel is thicker and a tea towel is thinner. This dress would probably be easier to sew with a thinner tea towel, but I liked that the dish towel was thicker, because it would give her added warmth this month. Not that we need it, the high was 80 yesterday! Sweet Pea was not really in the mood to be photographed this day. She just wanted to play, can’t really blame her. 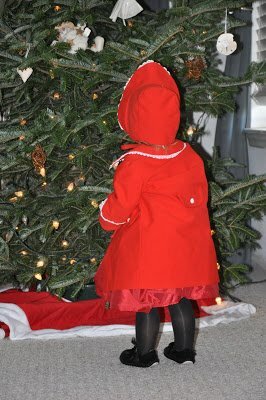 I originally planned to make her a Christmas dress with some amazing, vintage inspired Christmas fabric I found, but after I paid for it, I got an email saying they were sold out. I needed to come up with plan B and I did not want to go into Joanne’s and wait in line for an hour, so I decided to tempt fate and experiment with the dish towels! I got the towels at Target, the day after Christmas last year, and got them 50% off. They came in a bundle of two, and with the sale cost $2. I used one for the front and one for the back. 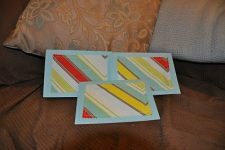 I had the ribbon and bias tape on hand from another project. I think the pattern design of the towel is what is going to make or break a sewing project with a dish towel. It has really got to be super cute. I love this modern Christmas design, I think it makes the dress pop. 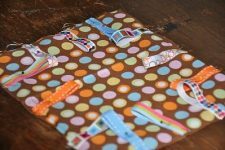 You sew the towels together, along the long sides, right sides facing. This gives you a tube of dish towel. Then you cut out your arm holes, sew the bias tape on, and make a regular pillow case dress like here. I also made this little cutie, inspired from where else, Pinterest. I wanted to make a shirt that could be worn with her red and green skirt that she wore for her birthday. So what do you think? Is the dish towel, pillow case dress, a right or a wrong? One year, I stumbled across these peg dolls and knew I had found the perfect gift for all the kids in our family! If I could hand paint teeny tiny torture rendering wooden peg dolls, I could do that while planning every other holiday activity known to man! In reality this project was so soothing, I loved every second of it. Despite the fact that I stayed up late at night to work on them, and you had to wait between coats of paint it was so fun! Do NOT try to do this while your child is awake! Even if they are young enough to not realize you are making them a gift a child is always old enough to destroy your work in under 2 seconds. Since I love taking pictures this seems fun. Or I was thinking of making one of these tent/playhouse things this year, although they look kind of labor intensive. 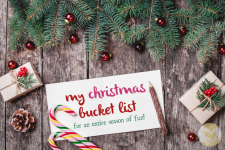 Hope these ideas make your holiday merry, bright, and stress-free! 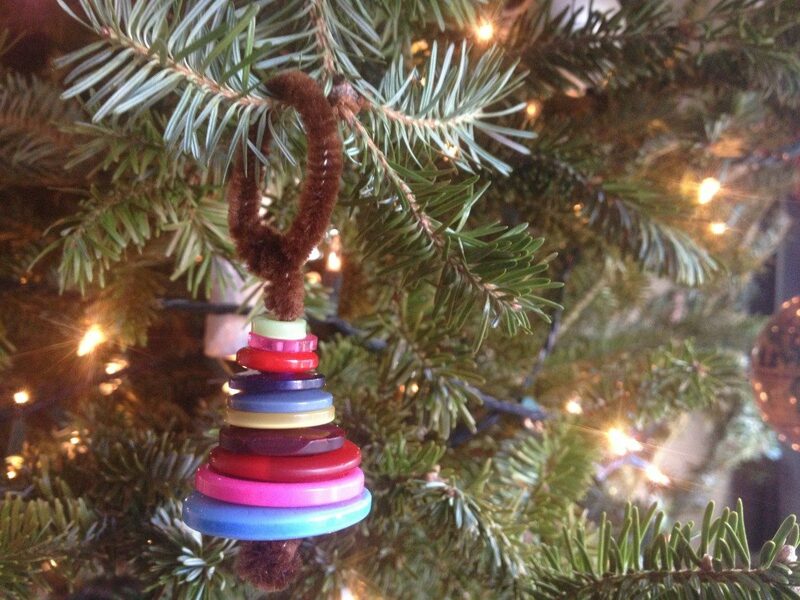 What fun handmade Christmas ideas do you and your kids enjoy? Share below! Hey Brenda! Thanks so much for your purchase. That is a helpful tip that I talk about in my book. I have never had any problem with cooking on low, my slow cooker gets to a high enough temperature even on low. But some older models may not. Thanks so much for sharing.